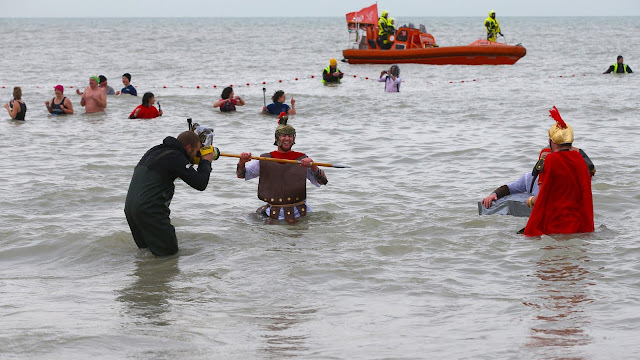 On Saturday 6 January 2018, several thousand people dived into the icy waters of the North Sea. Photographer David Pintens captured this experience on photo. And the MGX (pronounced as Magix) Air software made it possible to make a selection of these photos available via the Facebook page of 'the New Year's dive'. Almost immediately! Even before the polar bears came out of the water, they were already tagged on social media! The time that elapses between the experience 'in real life' and the reexperience 'in virtual life' is decisive in making your event a success on social media. MGX Air makes everyone's hands free. The photographer works with an (extra) MGX Air flash card. This special card is connected to the MGX Air app on his smartphone, which in turn has a connection to the MGX cloud. The flow of the photos made, was predetermined by Patricia Ballet, Social Media Manager of Golazo, the organizer of this event. Each photo, selected by the photographer as being suitable for online publication, was automatically provided with an overlay of the sponsor (Smeets) and posted to the Facebook page. The participants will let your event flourish on social media! You create a spectacular experience, and the enthusiastic attendees will do the rest!